We are a Saskatchewan-based market research firm who apply innovative approaches to provide custom research solutions and engaging reporting, helping clients progress from the “What?” to the “What now?” since 2001. Insightrix Research Inc. is an award-winning market research firm, based in Saskatoon, Saskatchewan, since 2001. We aim to create Eureka! moments and to be a catalyst for action. We start with a research approach that looks beyond the superficial to uncover people’s true motivations and opinions. We couple these insights with engaging communication skills to deliver sound recommendations which drive positive change. Unlike the large research conglomerates, we are not confined to specific research approaches or metrics. Our ideas and innovations are not shackled to a boxed research product with specific rules. We can do whatever it takes to give you the most insightful data. We’re serious about research, but we don’t believe in dry reporting or painful Word or PowerPoint reports. 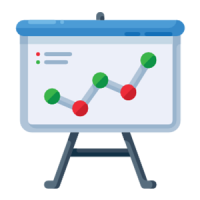 Our reporting and presentation styles engage our clients in meaningful ways and clearly narrate the story in your data. Our skilled researchers have access to the latest technology, which they use to answer our clients’ research questions. We use leading platforms for mobile friendly surveys, online dashboards, text analytics, usability experience and custom online communities to name a few. Insightrix Research Inc. was founded by Corrin Harper, MBA, and Larry Goodfellow, MBA. As entrepreneurs, Corrin and Larry saw a growing need for market research services, particularly those offered via the internet. Insightrix Research began multi-mode data collection in 2002 (telephone and online surveying) and was one of the first organizations to do so in Western Canada. We became a registered supplier with Alberta Advanced Education which enabled our organization to offer its services in a new market. After years of fruitlessly searching for a superior quality online sample of Saskatchewan residents, we built the first-ever, Saskatchewan-based, online research panel. Wholly owned by Insightrix, SaskWatch Research® is the largest online panel of Saskatchewan residents. 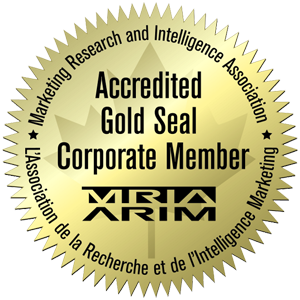 We obtained the Gold Seal from the Market Research Intelligence Association (MRIA), the Canadian association representing the market intelligence and survey research industry. 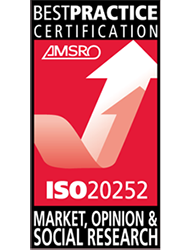 Gold Seal Certification assures clients that our organization collects quality data for all projects and follows standard industry research processes. Corrin found Presley wandering along the highway, and after no owners came forward, we adopted him. He is now responsible for Morale and Security at Insightrix, a position he takes very seriously – when he is not napping under Corrin’s desk. In 2009, Public Works and Government Services Canada awarded Insightrix a Standing Offer for the provision of public opinion research. This designation means we are eligible to provide public opinion research projects for the federal government in both the telephone and online streams. Our organization steadily continued to grow in 2010 – we managed to increase our staff by 40%. Soon after, we moved to our large, open-office environment, and we constructed a 14-seat focus group facility. Our new location and capabilities allowed us to expand our service offerings, and in 2012, we set up a Creative Services department. Creative Services is dedicated to presenting research findings in innovative and interesting ways, including infographics, videos and microsites. 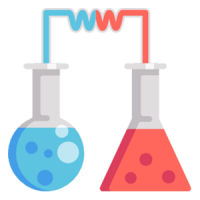 Insightrix develops marketing and market research software, offering creative IT solutions tailored to the specifications of individual businesses. 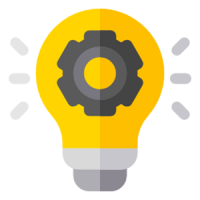 Insightrix starts working with clients on emerging software platforms like online community panels, online voting, SMS marketing and SMS alerts software. We were the proud host of the national MRIA conference, which was held for the first time in Saskatoon, Saskatchewan. The annual three-day national conference is an opportunity for buyers and suppliers to learn more about up-and-coming market research methodologies and techniques. Insightrix partners with FocusVision to offer the most advanced mobile survey technology available to its clients and panelists. This technology also further builds on our online dashboard and portal capabilities. Insightrix offers for sale its online community platform software. This expands our service offerings to include not only managed online communities, but also self-serving options. We presently sell this software package on an international basis. 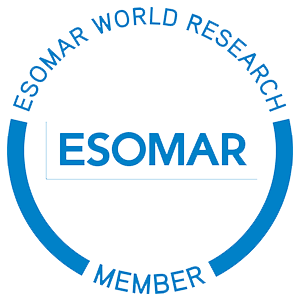 Our organization continues to expand its research and development staff, bringing national and international expertise in the areas of branding, advertising and communications and customer experience. Our research toolbox continues to grow with the addition of neuroscience equipment, and new platforms including text analytics, AI software and usability experience measurement. Insightrix presents a study paper on a neuroscience research project at the national Marketing Research and Intelligence Association conference. The project is credited with increasing understanding with ads designed to reduce drinking and driving behaviours. We also launch a new podcast series – Stories of Market Research – the first of its kind in Canada!